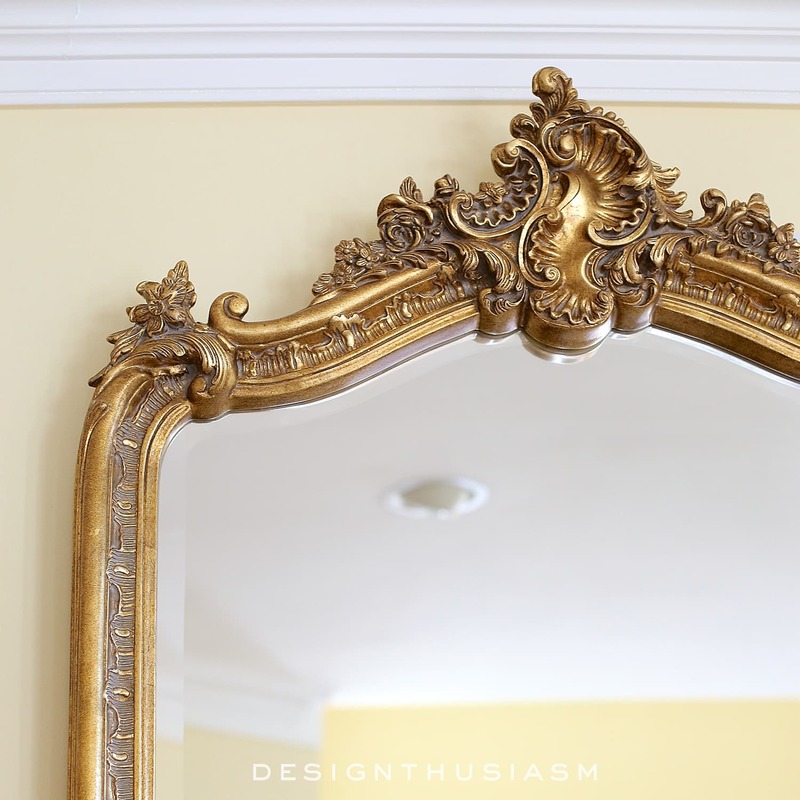 In this post: One of the quickest ways to add a French Country look to your home is with gilded mirrors. 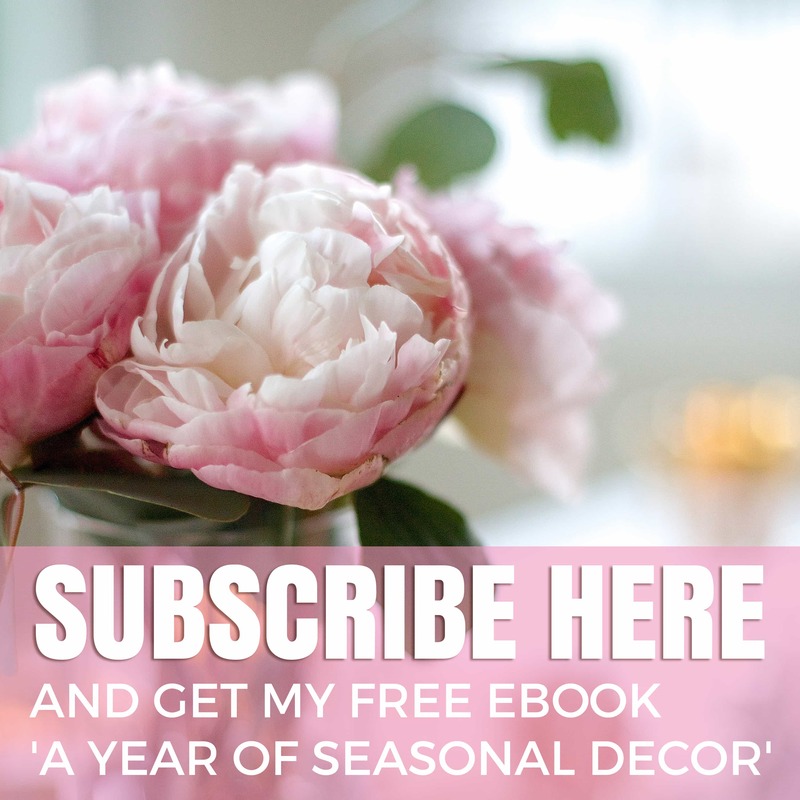 Whether vintage or reproduction, here are ideas how. If you’ve been reading my blog for any length of time, you know about my love for French mirrors. I have them all over my home, whether vintage or reproductions, and I just love what they say about the character of a home. 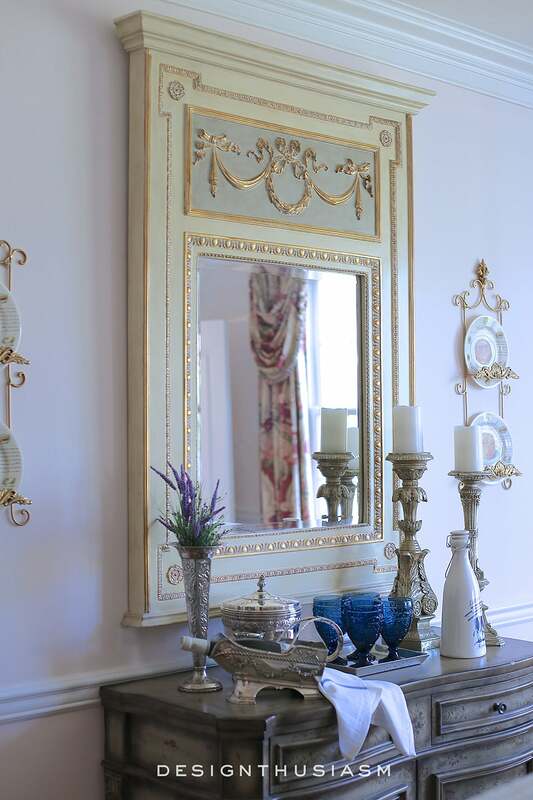 Adding French Country charm with gilded mirrors is one of the easiest ways to make a statement in a space and they often become the focal point of a room. The more significant the mirror, the more of a ‘wow’ factor it will provide. 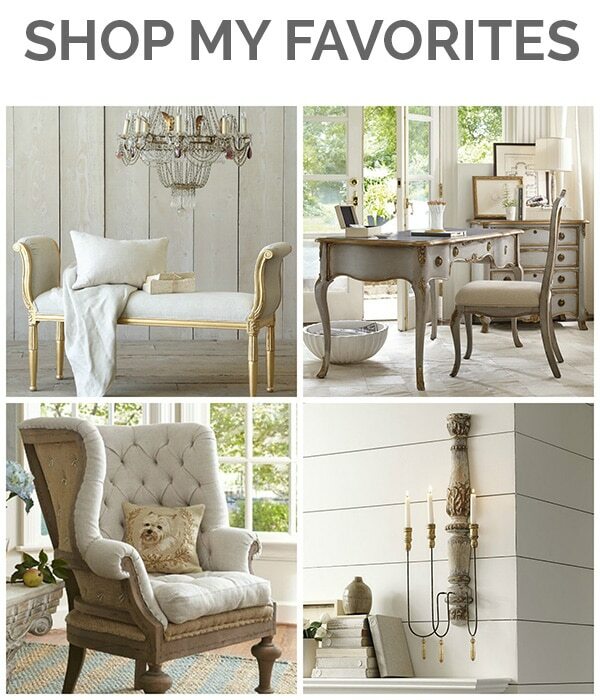 I often say I like to incorporate 6 defining style elements in every room and one of the most impactful is gilding. 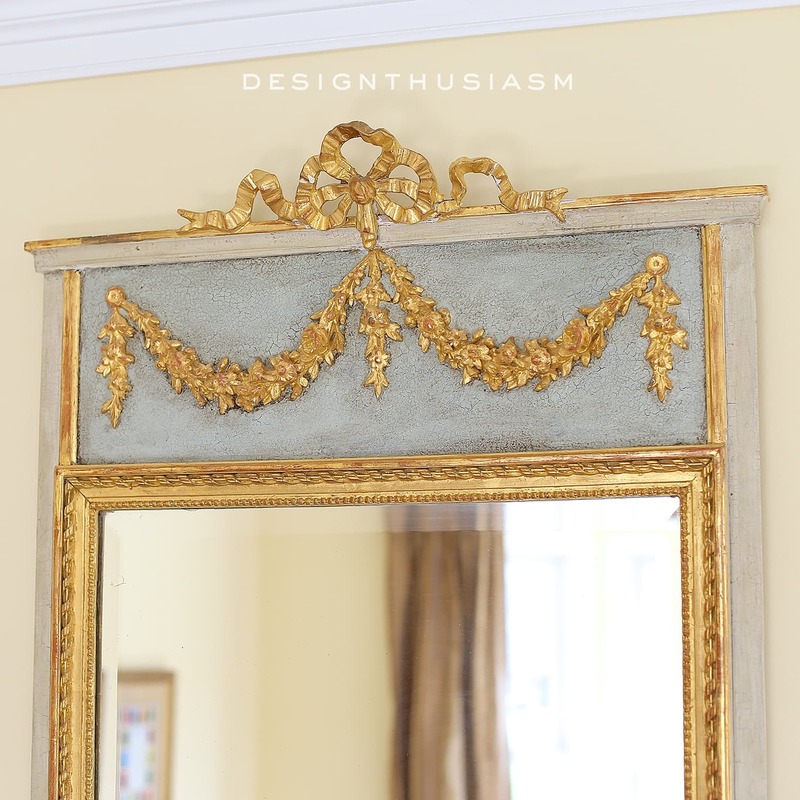 From architectural pieces and sconces, to picture frames and more, gilding can work its way into a room in many different ways. 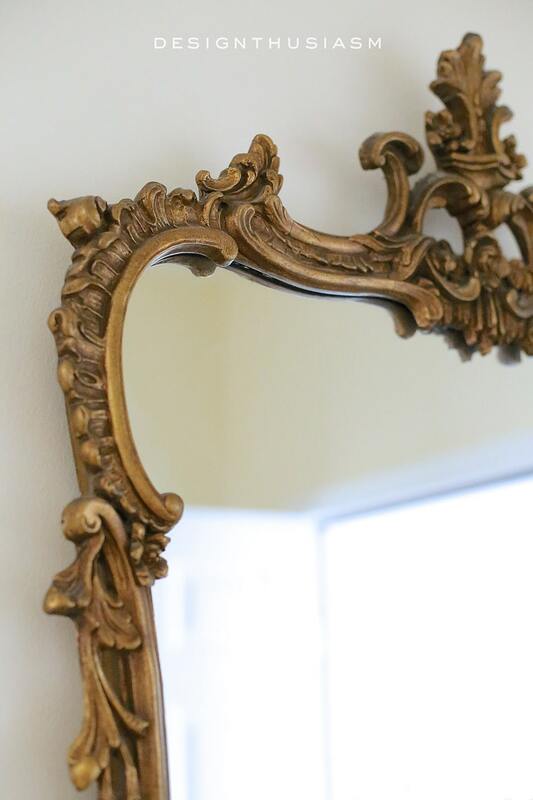 Since gilded mirrors are among my favorite pieces, I thought it would be fun to look at how I use them in my rooms. One of my favorite mirrors is the one I bought most recently, seen here over our mantel. It’s a vintage piece with gorgeous intricate detail that adds just the right touch of elegance to a room that’s otherwise quite casual. This is placed in our family room, the room we use most often, but I love that this special mirror upgrades the space and keeps it from becoming too bland. The focal point over the fireplace works well and the infusion of gilding here makes it possible to include other French Country touches in the room. For a view of the entire room, visit: A Comfortable, Functional and Beautiful Den. 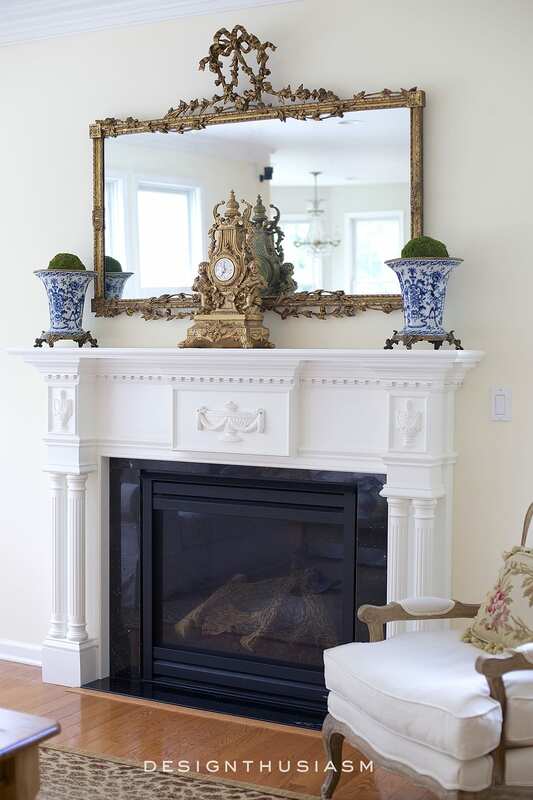 For details on our mantel renovation, you can check out: Transform a Room with a New Fireplace Mantel. 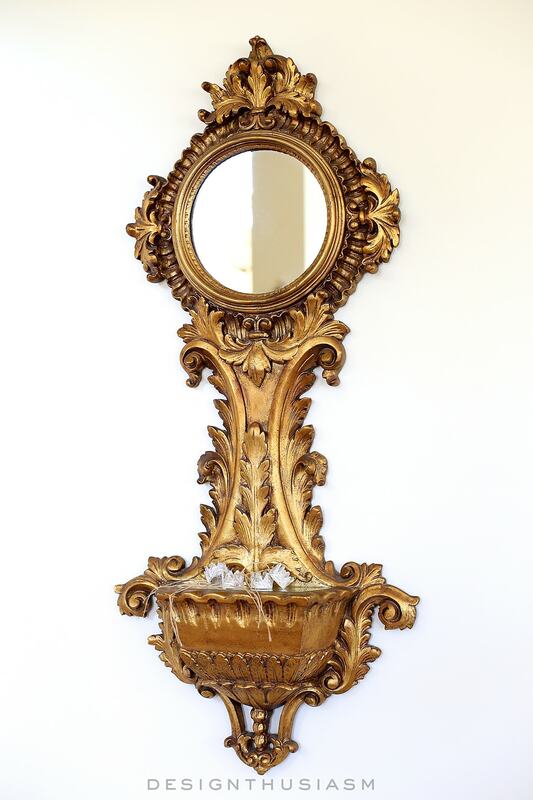 In a little corner across from the fireplace, we also have this petite ornate vertical mirror situated directly over a gilded bench. 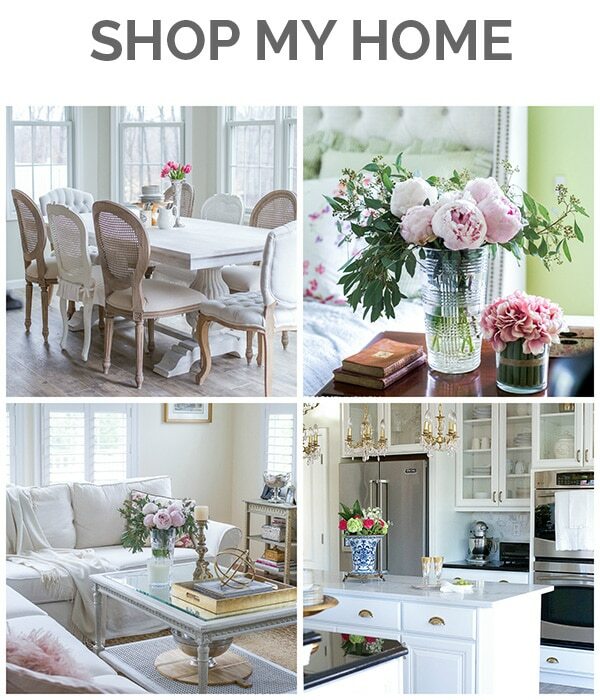 These pieces are both vintage, as well, and help balance the room, which is dominated by a huge white sectional sofa. The small mirror is not a quality piece at all, but rather a resin frame, yet it gives the impression of pedigree nonetheless. 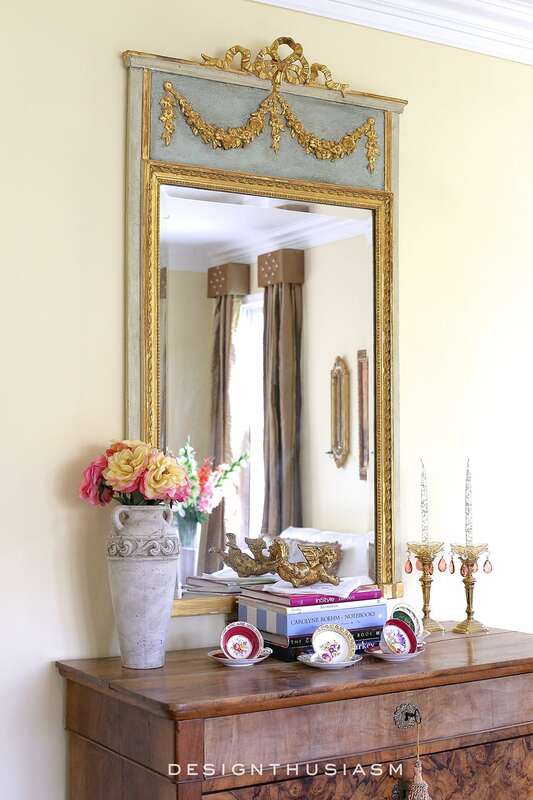 In the dining room we have a cream trumeau mirror with gilded trim. The light color works well in this room and the golden swags have a very French feel. 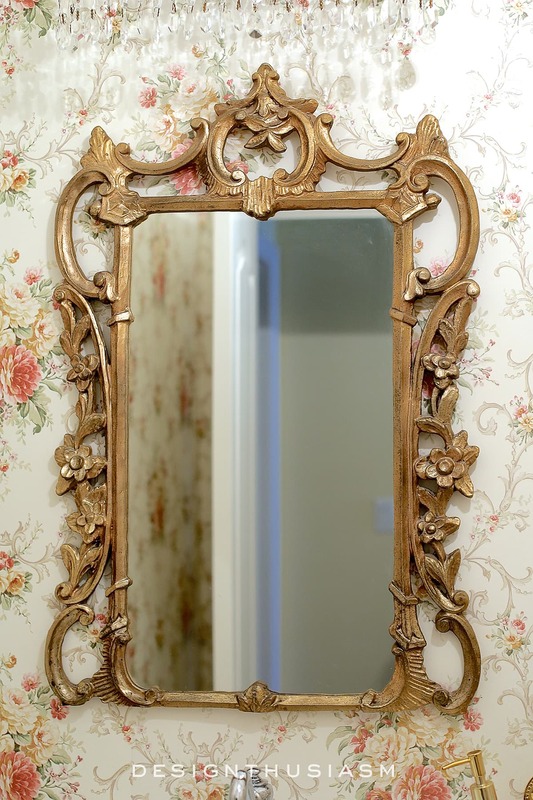 This mirror is actually new, purchased from Ethan Allen, but it lends a hint of faux patina to the wall. Our table is dark wood and the chairs upholstered, so the mirror provides a sense of balance to the space. To see the rest of this room and it’s rosy glow, you can read this post: A Rosy Dining Room. In our entry foyer, I wanted to go for a very elegant look, to make an impact when one walks through the front door. We used this large curvy gilded mirror over an antique French bar server and it gives just the impression I was hoping for. The mirror, like the one in the dining room, is new, from Ethan Allen, but sits wonderfully with the vintage piece beneath it. You can see the full post here: Holiday in the Entry Foyer. Here’s a bit of a closeup detailing the stunning work at the top of the mirror. 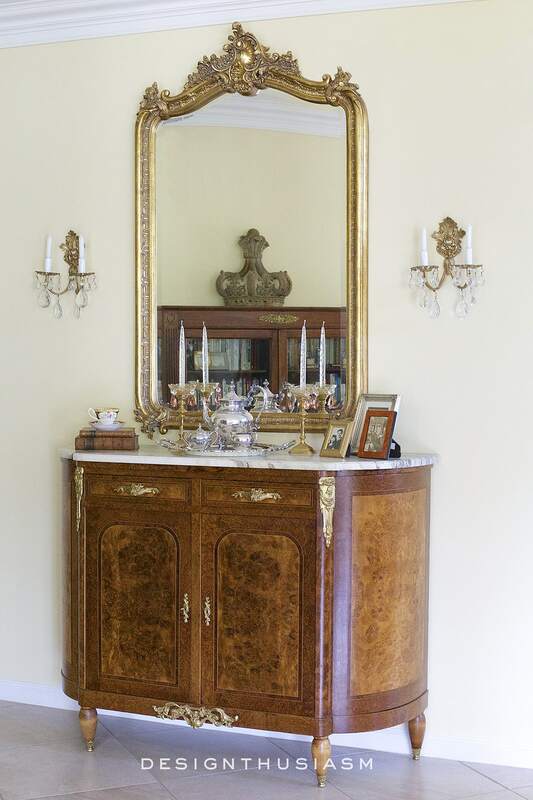 By far, our most exceptional piece is this authentic French trumeau mirror in our living room. It is quite special and quite old and the ribbon embellishment on the top edge is delicate and lovely. The aged patina of the piece underscores its authenticity and contrasts nicely with the burled wood bureau beneath it. 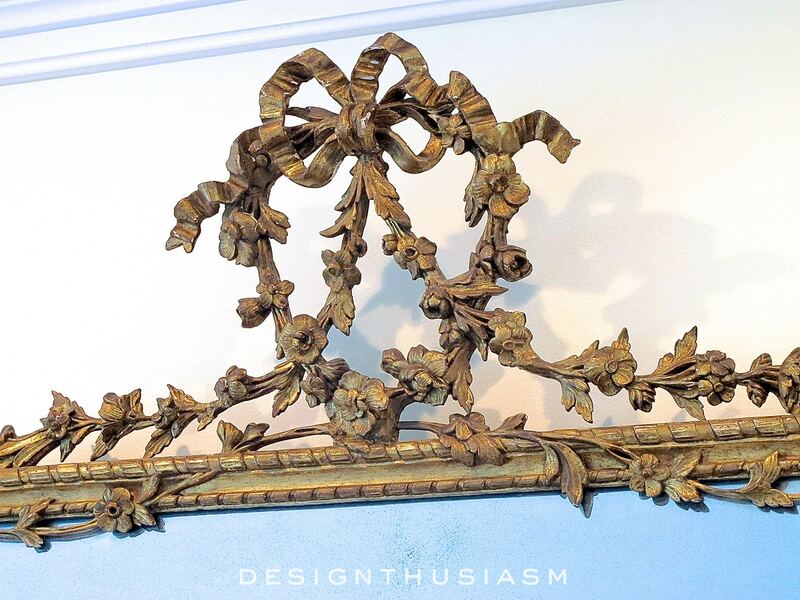 This piece sets the tone for the room making it very French and leading the way for the aubussons placed around it. 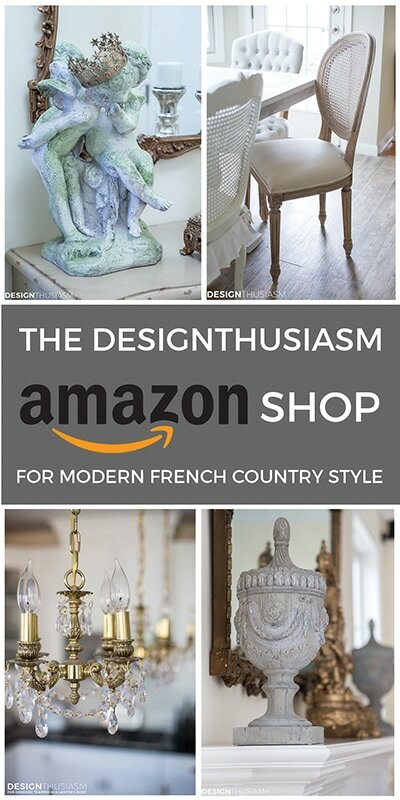 To see the full view, you can visit this post: A French Country Living Room. In our back entry, a room most people would call the mudroom, I was careful to keep the same general design styling as seen throughout the house. Given that this is the entry we use all the time, I wanted to be sure it welcomed us with another lovely mirror. This piece is smaller than the others and although vintage, it’s hardly a top quality piece, yet it adds just the right note of grace to the space. 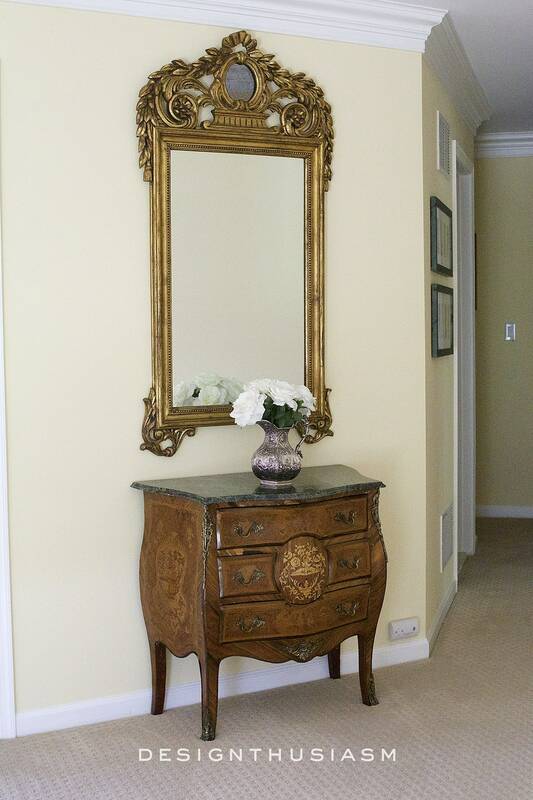 It sits above a painted white chest, flanked by two white French chairs and is a very nice way to be welcomed home. You can see the full view and how it sits in the room, you can go here: Back Entry Foyer Details. In the study, which is anchored by a French Country desk, this wall grouping adds a bit of interest to a windowless wall. 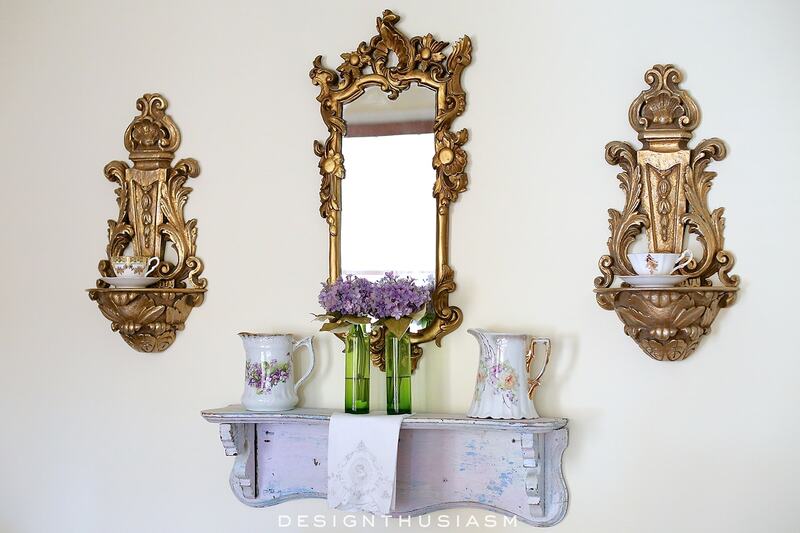 The tiny gilded mirror is actually resin and was very inexpensive, but bolstered by the wall sconces and sitting above the chippy shelf with vintage china pitchers, the look is quintessential French and is a pleasure to look at. 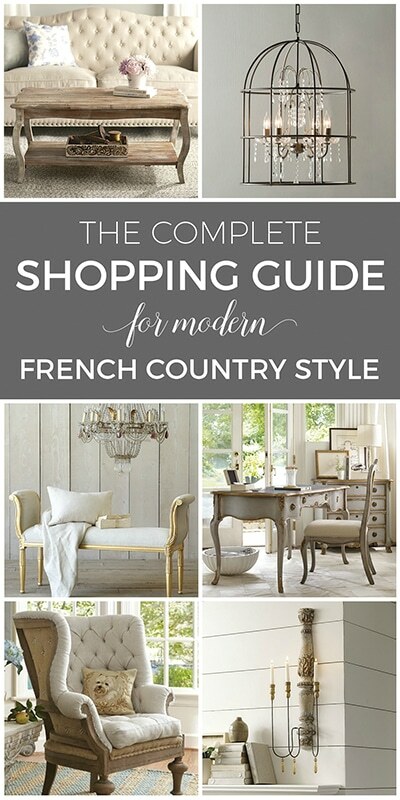 You can see the rest of our French Country study in this post: A French Country Study. Our upstairs hallway also provided an opportunity to use some gilding, again, contrasted against a dark wood chest with marble top. I talk more about this space in this post: The Upstairs Hallway. Finally, this pretty little mirror in our powder room is a charming lightweight resin piece that sits nicely against the toile wallpaper and vintage lighting that illuminates this room. For more details on our powder room transformation, you can visit this post: Adding Character to a Bland Powder Room. The mirror is beautiful. Heading over to Dixie Delights. I want one in every room, and I’m getting there! 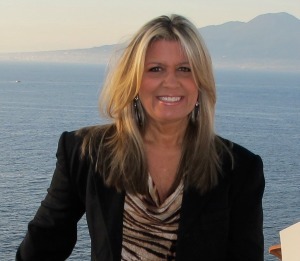 Lovely, Lory! I love your mirrors. I was given one for Valentines. It’s very heavy, ornate and bright gold. I thought about dry brushing it but the more I look at it, the more I’m enjoying it, at least for now. Thank you for always giving us links to your other post. That is so helpful.